I have come with all of the Archangels to remind you of your unlimited potential to create and make a difference in the coming year. This year of your time is like no other that you have experienced. You are not the same as you were in January of 2016. You have made so many changes in your belief system. You have grown your consciousness to the level that you now take responsibility for what you are creating in your life experience. Your new creations are generated from unique states of awareness that have not been present in the collective consciousness of humanity. You can make such a difference in the world. This is a step-by-step process that each one of you will contribute to in your own unique way. You are changing human consciousness as well as the Earth’s consciousness. Your contribution to Earth’s energy is invaluable to the ascension process. The changes that you make for yourself contribute to the creation of a more refined energy that supports the Elemental Kingdom to mimic what you create. Earth then creates and environment to support you as you expand the presence of pure light. Much has been asked of all of you these past five years of your time. The constant clearing of your mental and emotional body seemed like an insurmountable task. But you summoned your courage and diligently worked to create unification within this immense creative body. Undifferentiated Light and Love were sent from the vast creative realms of Source to assist you. It is time to review your challenges and successes during the first month of a new year. 2017 is a number 1 year. It is a year of new beginnings. It is a year to begin to create effectively as well as consciously. There is nothing that you cannot change this year. All you have to do is see what surfaces from the collective consciousness of humanity and determine what is out of alignment with your divinity. Through your awareness, you can take steps to slowly and diligently make everyday changes for yourself. When you change how you operate in your daily life, you affect change in your environment and in those that you interact with. You will be the model for the new Earth energy. The most wonderful event that has taken place in your life is that you see how creative that you are. You are beginning to look at yourself differently through eyes of love and appreciation. This is such a huge step that you have taken, beloveds. I want you to see what I see in you so that you can have confidence in yourself. Move forward with assurance this quarter. Take time for introspection in the month of January, so you are prepared as you move forward and begin to make precise changes in the way in which you experience life on Earth. The second reason for this communication is to provide some guidance for you in the coming year. Humanity has entered unchartered territory now. Your world seems to be in chaos and turmoil. Many of you ask what can I do to make a difference. Never worry. You are surrounded by many from the creative Source Realm to assist you. The Archangels will continue to be present to guide you and energetically support you. Be aware when there is any presence of fear in your thoughts or emotions. Fear is the most detrimental emotion that can still surface from time to time. Know that it is easily dismissed when you see it for what it is – a leftover energy from 3rd dimension that some in the collective consciousness of humanity still refuse to let go of because they remain unconscious. This energy from time to time invades your energy system. Know that this is just a brief event because you are after all human. But you are different, dear ones. You are conscious. 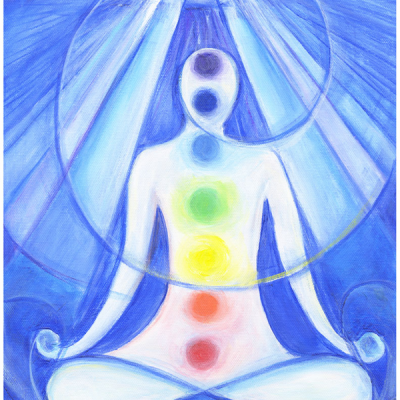 You have created unity within your energy system and hold a much different light vibration. This is important for you to recognize and keep in the forefront of your awareness. When you recognize that you possess a more refined light energy, you instantly move through these brief times with ease. It is imperative that throughout this year of new beginnings that you stay as conscious and aware as you can. This is why I am here to support you to move through January with me and the Archangels as your guides. January is the month of quiet introspection. It is a time set aside for prayer and meditation. When you allow this time, you gather more Love and Light for yourselves, and you increase your Light frequencies and vibrations greatly. This is the support that you will need as you begin to create in the next months. Prepare yourself. Create an energetic foundation. Create a solid connection with the creative realms of the Archangels and the Ascended Masters who are here to assist you. Do not have false expectations. Even though this is a year of new beginnings and creations, change is often slow to manifest. Some of the human collective is resistant to moving into a different dimensional state of consciousness. They are insistent on maintaining separation. The power of Love is your most valuable resource. Maintain a constant love and value of yourself, even when the world would have you feel otherwise. Another asset that will be valuable for you to have is to see an overall picture of events. See how these happenings are manifested from old patterns that come from a 3rd-dimensional consciousness. These old patterns could surface within relationships or within parts of worldly events. What you have control of in these moments are your thoughts and feelings and your reactions to these old patterns. Continue to create plans for when you are bombarded by negativity within relationships or the news media. Stay in the center of your Sacred Heart. This is where the wisdom of your soul lies. It is another of your great possessions. Make a list of all the resources that you have so that you always have them consciously in your awareness. When you have resources, you can confidently create what is needed at the moment. You continually manifest with confidence. Do not forget to be aware of our presence. We are always here to assist you. Call on us often. We are your support system.